There aren't very many brands that turn 250 years old, and there are even fewer brands that have an entire nation is willing to stand up and applaud, both for their heritage and for their synonymy with their own culture. Guinness is in many ways the epitome of Irish-ness, the prime example of who we are as a nation - hard-working, everyday folk with a strength of character to see us through. As a brand, Guinness is surely one of the best. A globally recognised powerhouse of advertising, design and innovation. Guinness extends beyond a simple beverage and has developed itself into sport and the arts. Guinness has done what many brands not only fail at, but never even realise to try. Guinness gives back. In a changing modern digital world where the consumer is savvy and they have realised that the power to effect corporations and businesses is their's, Guinness have embraced change and strived to promote what I call 'an age of reciprocity'. The question is not how do I make you buy my product, the question is what can I do for you so that you love my brand. In a market where consumers will travel, bargains will be hunted for, and there is always an alternative, it is more important then ever to understand that the educated consumer can be either your friend or foe. Social Media has opened up the world, democratised data, and given every single one of us the power to speak our mind and broadcast our opinion. Those with their thinking caps firmly in place, however, have come to realise this is in fact a good thing. The modern consumer is not naïve, they understand the buyer/seller relationship and they are, in most instances, happy with it. So long as everyone keeps their word, what is paid for is received, and the status quo of the relationship remains even, happiness will prevail. As a brand though, it is easy to take this equilibrium and subtle sway it in your favour. Not by any underhandedness but simply by going that bit further, providing the little bit extra, by doing more to ensure that the customer is more then just happy. Of course, being a savvy shopper, this is noticed, and as long as the motives are clear, this will be looked on very favourably by the consumer. We like to feel that our patronage is being rewarded. We like to feel that we are part of the process. We like to feel special. The nature of Reciprocity is that while there is a clear understanding that the buyer buys and the seller sells, there is also a deeper understanding that both parties are appreciative of the other. This relationship is by its nature symbiotic. Without one the other can't exist. So with that knowledge in hand, the seller goes a little step further. The best example that I have seen to date was Arthur’s Day. 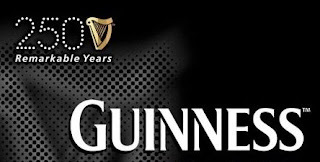 To celebrate 250 years of business and to thank the public for 250 years of patronage, Guinness put on a huge event filled with music and entertainment to a scale that had simply never been done before in Ireland. While the gigs/events weren't free, they were very reasonably priced, and the money that was taken in in ticket sales went to charity. So the public get to have a great time, they get to donate money to charity, and Guinness get to give back to the community. And sure, there were thousands upon thousands of pints of Guinness drank that day, but that's nothing to complain about. Reciprocity is more then a passing trend in my opinion. Reciprocity is the natural evolution of the consumer/supplier relationship. Reciprocity is what has happened to the market through the prevalence of Social Media, the explosion of mobile technologies and the expansion of always-on, super-fast broadband. Reciprocity is a cultural revolution of consumerism. Above all though, Reciprocity is a great thing. In the case of Guinness, however, the question now becomes where to next? Well it just so happened that earlier today, Guinness announced details of a spectacular live TV ad to be broadcast on RTÉ 1 at 17:59 on New Year’s Eve, marking the end of the 250th anniversary celebrations and the establishment of the Arthur Guinness Fund. The 60 second spectacle will feature a visual recreation of Arthur’s famous signature in a dramatic way, which will not be revealed until the broadcast at exactly 17:59 on New Year’s Eve. In this instance, Reciprocity is simply going beyond the standard advertising message. It is the innovativeness to be creative, the daring to not directly push a product, it is the doing what the other guy isn't because it's exciting. And it is on that sentiment that I can happily raise a glass to a man and his legacy; to Arthur!